In celebration of the launch of Partners in Preservation: National Parks, Timothy J. McClimon, President of the American Express Foundation, reflects on what national parks and historic preservation mean to him. This story originally appeared on NationalGeographic.com. Every summer when I was a child, my parents, three siblings and I packed our lives into a hot, humid car, left our home in Iowa behind, and drove across the country. We navigated open highways, stopping our journey in the evening to set up camp outdoors, on national park grounds. I still have vivid memories of those vacations—from staring into the dark expanse of Mammoth Cave in Kentucky to gazing down from observation decks at Gettysburg Battlefield in Pennsylvania. I never realized that we took our annual family road trips because we could not afford the expenses of an airline ticket or a hotel room. Those vacations seemed like much more than just a financial decision and still feel that way today. Every mile we drove brought my family closer and every historic site we visited connected my memories with those of millions of Americans. 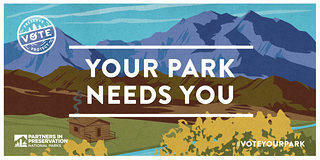 Cast your vote to fund preservation in our national parks! When I joined American Express more than a decade ago, I was excited to be a part of a company that, like me, had a strong connection to our nation’s public lands. As far back as 1885, American Express encouraged an employee campaign to provide funding for what is now the Statue of Liberty National Monument. 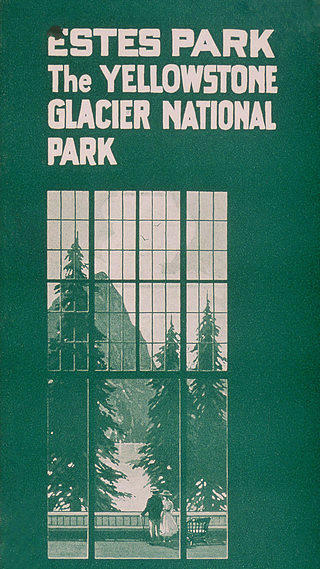 Following the formation of the National Park Service in 1916, our travel business began designing itineraries that encouraged our customers to visit U.S. national parks. Over the past century, our appreciation for the National Park Service has only grown. Through our foundation, we have supported preservation work stretching from Boston’s Freedom Trail to Arizona’s Grand Canyon. And, since 2015, as a champion of the U.S. Department of the Interior’s goal of reaching one million volunteers annually on public lands, American Express has provided more than $13 million in funding to park-related causes that build communities and heighten individuals’ connections to their local historic sites. 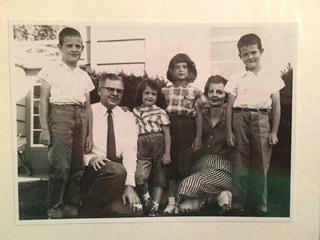 The author as a young boy (far left) with his family. 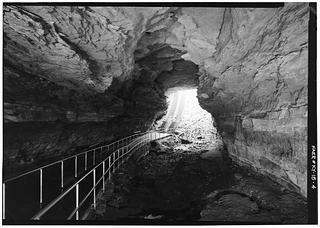 Mammoth Cave National Park, Mammoth Cave, Kentucky. Today, we have taken our commitment to U.S. public lands one step further. In honor of the National Park Service’s Centennial, we have partnered with the National Trust for Historic Preservation and National Geographic to launch Partners in Preservation: National Parks, a program within which 20 historic sites in national park units will vie for $2 million in preservation grant funding as decided by popular vote. Since 2006, Partners in Preservation, a community-based partnership, has committed $16 million in preservation funding to more than 200 diverse sites in more than a dozen different cities across the country; increasing public awareness of the importance of preservation and inspiring long-term support from local citizens for historic and cultural sites at the core of their communities. We encourage you to get involved by voting once a day for up to five parks from May 25 until July 5 at VoteYourPark.org, our online portal hosted by National Geographic, and showing your support for your favorite park by using #VoteYourPark and tagging @savingplaces on Instagram and Twitter posts. My family’s summer road trips taught me something important: our national parks are places that are passed down through generations and shared between diverse communities of people from different social and economic backgrounds. Our public lands and the legacies they represent belong to everyone who wishes to explore them. I encourage you to vote for your favorite parks and discover the special places that can bring your family and community closer together. We encourage you to get involved in the Partners in Preservation: National Park campaign by voting once a day for up to five parks from May 25 until July 5 at VoteYourPark.org.